A research fellow with Ghana’s Water Research Institute, Dr. Anthony Duah, has predicted that Ghana may import water in the near future for domestic use if illegal miners continue to pollute the country’s water bodies. 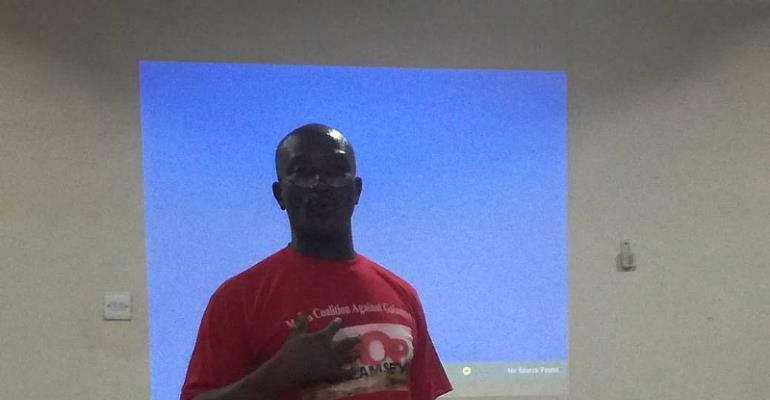 Dr. Anthony Duah raised this concern in Tamale at a media encounter on the state of the country’s water situation organised by the Media Coalition Against Galamsey (MCAG). He supported the Ghana Water Company Limited’s (GWCL) resolve to engage the services of national security operatives to clamp down on the activities of recalcitrant illegal miners and sand winners around the country’s main water bodies such as the Black, the White Volta and the Bui Rivers. Dr. Anthony Duah further underscored the need for government to adequately resource the GWCL to supply clean water to consumers. A representative of the Ghana Community Radio Network and Member of the Steering Committee of the MCAG, Kofi Larweh, told Citi News that significant successes had been chalked since the campaign was launched. Mr. Larweh said plans were far advanced by the MCAG to reward individuals and institutions that have significantly contributed towards the fight against galamsey. As an anti-galamsey group, the MCAG is made up of the Ghana Independent Broadcasters Association (GIBA), Graphic Communications Group Limited (GCGL), New Times Corporation (NTV), Private Newspaper Publishers Association (PRINPAG), Ghana Journalists Association (GJA), Ghana Broadcasting Corporation (GBC) and the Ghana Community Radio Network (GCRN). The post Galamsey threatens Ghana’s provision of water – Researcher appeared first on Ghana News .